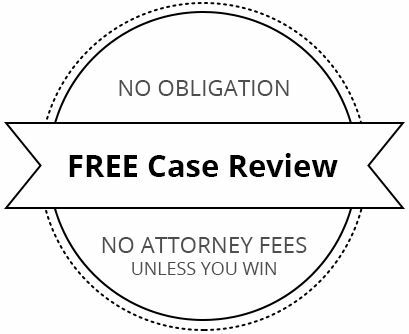 Do You Have a Case?Tell us about your situation, we will review and contact you about your options. Personal Injury LawWe are the most experienced law firm in the area, handling many different types of personal injury claims. If You've Been Injured,We Can Help. If you have sustained a serious injury due to the negligence or recklessness of another party, you need the help of an experienced personal injury lawyer to ensure that your rights are protected. With nearly 200 years of combined experience, the personal injury lawyers at Hauptman, O’Brien, Wolf, & Lathrop have litigated every type of personal injury case. You may have a lot of unanswered questions about the specifics of your case and the compensation that may be available to you for your injuries. Our personal injury lawyers will take on your case and ensure that they do everything they can to hold the negligent party accountable for their actions. We concentrate on a personalized approach, along with using an array of resources that will help us maximize the value of your personal injury claim. At Hauptman, O’Brien, Wolf, & Lathrop, no personal injury case is more important than the other. Everyone in our law office prides themselves on providing our clients with the highest quality of service. All of us work extremely hard to achieve the results that our clients need and deserve. We strongly believe that we can achieve great results while maintaining the highest level of integrity. "Choosing a personal injury lawyer can be a tough decision. Hearing about other people’s experiences helps you know you are in good hands." Let our attorneys work with the insurance companies so you can recover. Trucking insurance companies are difficult to deal with, and are not on your side. Injured at work? You may be entitled to compensation while you recover. If you have been injured on private or public property, we can help. We can help you navigate complicated medical malpractice lawsuits. The unfortunate death of a loved one can leave you in turmoil. We can help. The party responsible for your injury will assemble a team of insurance adjusters, investigators and attorneys to work against your case. The goal of established insurance companies is to minimize the severity of your injury and pay as little as possible to settle the claim. You need the assistance of an experienced personal injury attorney to help you receive full and fair compensation. The personal injury lawyers at Hauptman, O’Brien, Wolf, & Lathrop provide the highest degree of personalized care to our clients. We will handle every aspect of your case; from your initial consultation to completion. Throughout the entire process, we will give you the quality representation that is required for a successful personal injury claim. The personal injury lawyers at Hauptman, O’Brien, Wolf, & Lathrop will be your advocate in your time of need and will work as long as it takes to achieve justice for your case. With nearly 200 years of combined experience, our attorneys have handled every type of personal injury litigation. Insurance companies know that we will fight for fair and just compensation. Our clients know that we handle cases professionally and aggressively. Make an appointment to come talk with us. It’s a good idea to schedule an initial, no-cost consultation. If we represent your interests, it’s because we believe in your case and are fully prepared to support it. I Was in a Distracted Driving Accident in Nebraska: What Now?